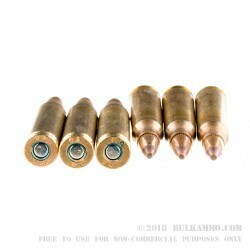 Frangible ammunition can be useful in many situations, with personal defense in urban environments, or small rifle ranges, or steel target shooting at distances shorter than 75 yards being a few ideal scenarios. 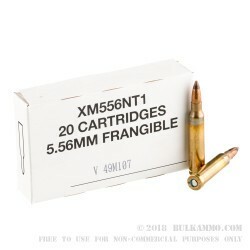 Frangible 5.56 offers a solid choice for home defense because you get all the ballistic benefits of using a high powered rifle cartridge, with the safety benefit of low chances of over penetration or wall penetration. The concept of frangible ammunition is that a bullet dissipates into enough particles, or pieces of the total projectile to create a higher energy dump and to avoid having enough mass that could exit an object (a body) and harm others or create a through strike. For personal defense in spaces where others are potentially involved (innocent bystanders, or neighboring homes perhaps), it makes sense as long as the energy delivered on target and the stopping power is not compromised. This is why a high powered cartridge like 5.56x45 makes a good frangible round – the ballistics at close range are substantial. 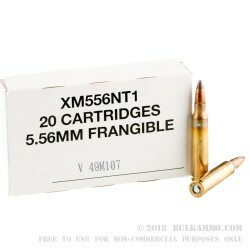 Frangible ammunition also makes sense where ricochet is a potential concern, like when shooting at hardened targets at medium or close ranges; or where the backstop of a range is not substantial enough to be able to reliably stop fast moving rounds with penetration like the 5.56x45 (or other centerfire rifle cartridges) have. 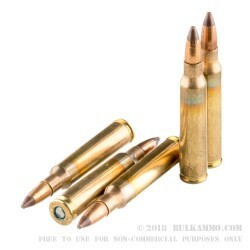 This ammunition enjoys a solid reputation for when you might consider frangible rounds. The XM556NT1 is made by Federal and features a 50 grain Frangible projectile which will reliably feed in firearms on the AR or military platforms. Packed in 20 round boxes, and sold in a case of 500 rounds.